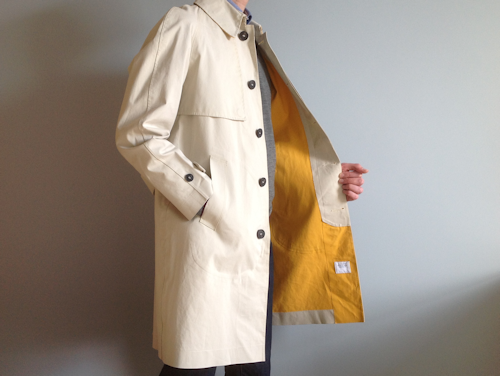 You can never have enough raincoats living in the UK. I think we've all realised this recently. It is simply the most useful item you will have in your wardrobe. That's certainly the rationale I use for my continually buying them. This one was impossible to resist. 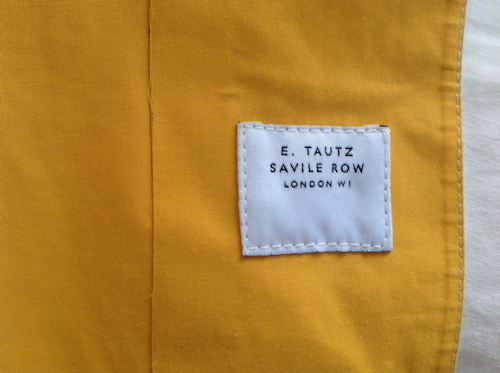 It's by E. Tautz (the ready-to-wear offshoot of Savile Row's Norton & Sons) and made in Scotland by Mackintosh. 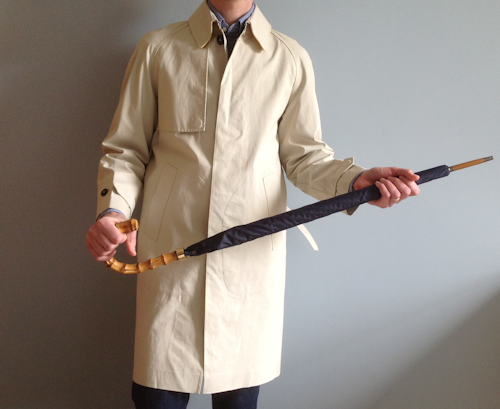 This is a proper trench coat of rubber-bonded cotton, and in a classic cream colour too, with an engagingly zesty lining. It will be worn in rotation with my others, but a worthwhile addition to the collection. 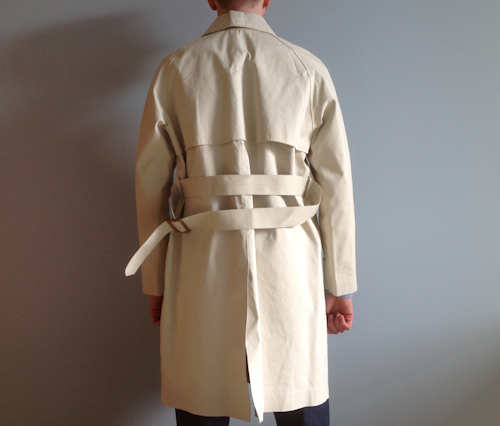 The coat has some of the features you'll recognise from classic trench coats: raglan sleeves, waist belt with leather buckle, storm flap over the shoulders to the front, and cuff straps. 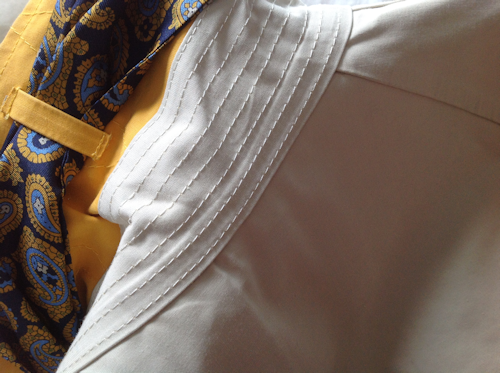 I'm not quite sure what the loops are for under the collar, but I threaded one of my Peckham Rye scarves through it. I'm jolly pleased with it. 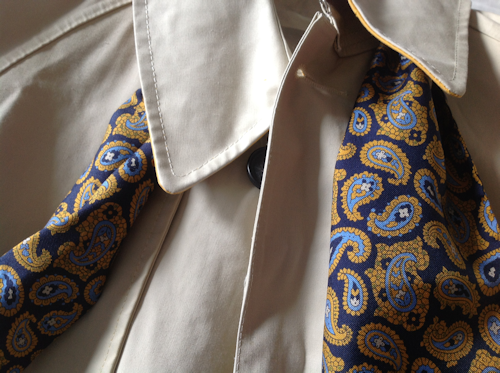 I'll be making one of my regular trips to Madrid soon, and this coat (along with the Fox umbrella) is coming with me. The rain in Spain falls mainly on the plain, they tell me. 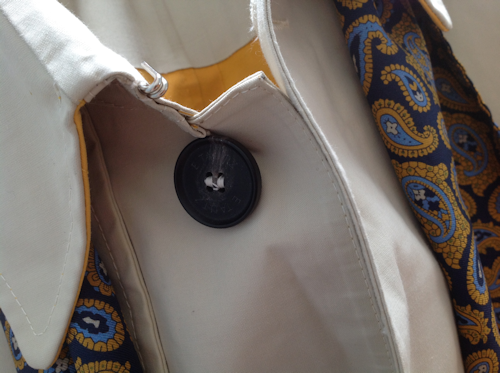 Much more on raincoats here.